NTT Communications Corporation (NTT Com), the ICT solutions and international communications business within the NTT Group (TOKYO:9432), announced today it will launch its Osaka 6 Data Center (Osaka 6) and Osaka 7 Data Center (Osaka 7) by the end of 2019 and thereby expand its data-supply capacity 2.2-fold. 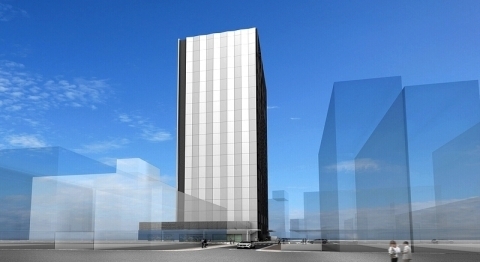 The Osaka 6, which will be located in a building that NTT West Corporation is constructing in downtown Osaka, will launch with 460m2 of server space and eventually expand to 1,370m2 and 400 racks. The Osaka 7, which will be situated in a dedicated datacenter building in Ibaraki, Osaka Prefecture, will boast initial server space of 3,800m2 and eventually grow to 9,500m2 and 4,200 racks. Osaka 6 in downtown Osaka will be conveniently accessible from multiple stations, with the nearest subway station just a two-minute walk away. Osaka 7 in Ibaraki will be near downtown Osaka but offer reduced risk of disasters such as floods and earthquakes. Both datacenters will connect directly to Osaka’s Dojima area, a major interconnection point for ISPs and datacenter operators. Services will be available to an extensive range of customers, including major cloud service providers and other hyper-scale operators and enterprises. Both datacenters will fully comply with strict equipment and operation standards that have been globally unified under NTT Com’s Nexcenter™ family of datacenters. In addition to redundant electric power, air-conditioning, connections and security, users will benefit from NTT Com’s high-capacity, high-quality and high-reliability network infrastructure. IX, ISP and multi-cloud connectivity will be enhanced by direct connections to other NTT Com datacenters in Osaka via 10 Gbps Nexcenter Connect™ Metro. Both datacenters will be equipped with seismic isolation structure to minimize the impact on buildings and customer equipment if another Nankai megathrust earthquake were to occur. Electric power, network equipment, server rooms and other key facilities will be located on the second floor or higher of Osaka 6. to enable interrupted operation even if the first floor were to be flooded. Reliable electric power supply will be assured through the use of multiple substations and routes. Communication cables will enter the buildings through large earthquake-resistant tunnels to prevent damage from earthquakes or road excavation work. Osaka 7 will be located in an area where flooding is uncommon, and electric power will be secured even in case of disaster by connecting directly to the adjacent substation. Osaka 7 will be a campus-style datacenter that offers fast, reduced-cost customization to meet specific customer needs. Server rooms will adopt highly efficient cooling wall-type air-conditioning and will be able to accommodate ultra-high-heat servers that consume 20kW or more of power, such as GPU servers. The facility is expected to deploy advanced technologies such as a high-voltage direct current (HVDC) system for improved reliability and some 20% lower power loss through reduced power consumption. Japan’s colocation market that was worth around 540 billion JPY in 2018 and datacenter business has been growing steadily at around 7% per annum. Cloud-service providers and other hyper-scale companies, as well as enterprise customers, continue to generate massive demand. In addition, the use of datacenters for hybrid clouds that combine colocation and multi-clouds is expected to expand. NTT Communications solves the world’s technology challenges by helping enterprises overcome complexity and risk in their ICT environments with managed IT infrastructure solutions. These solutions are backed by our worldwide infrastructure, including industry leading, global tier-1 public and private networks reaching over 190 countries/regions, and more than 400,000m2 of the world’s most advanced datacenter facilities. Our global professional services teams provide consultation and architecture for the resiliency and security required for your business success, and our scale and global capabilities are unsurpassed. Combined with NTT Data, NTT Security, NTT DOCOMO and Dimension Data, we are NTT Group.